This is a unique Dog Harness with luggage storage for Training & travels. The harness is strong and especially durable and suitable for traveling. The harness is designed in a military style and it is for Medium & Large Dogs. 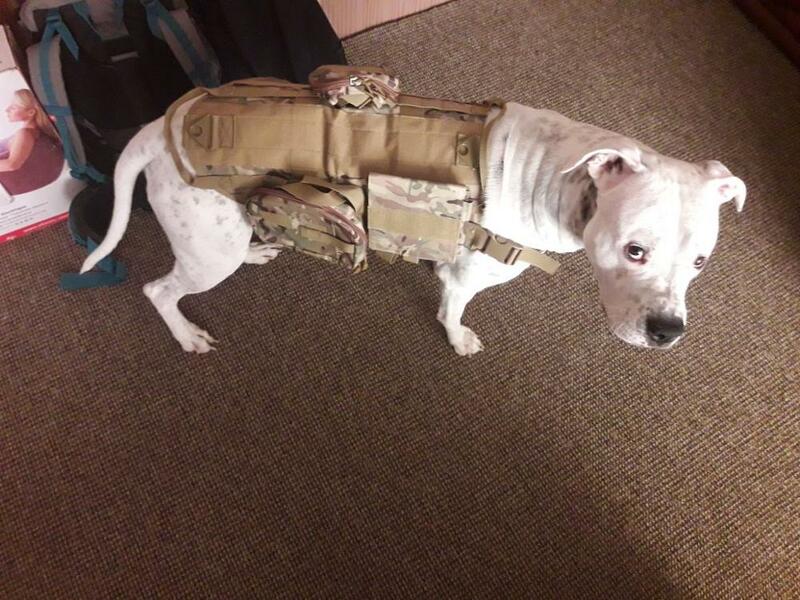 The harness is good, but my dog sometimes pulls on it, which led to some tear on the stiches the belt that goes around the front of his chest. I plan to send it to a taylor to enhance the stiches. Otherwise it is quite nice, fits perfectly and I am sure if the dog does not pull on his leash it will be a lot more durable. The breed is Dogo Argentino. Fast shipping 14-20 days to Perm, quality on top. A full set of. 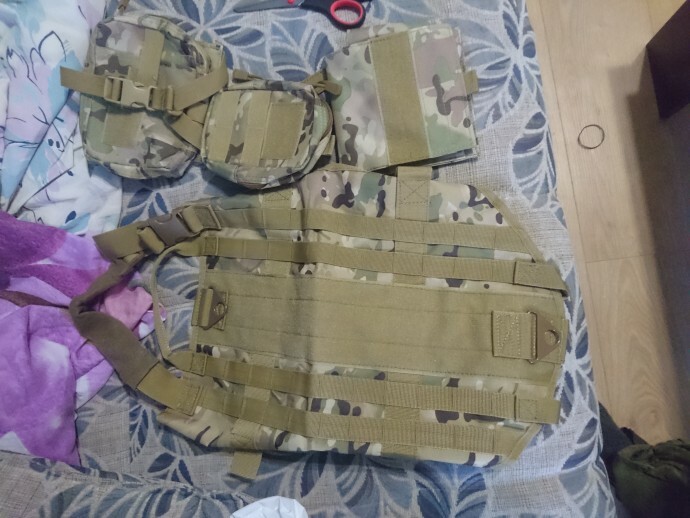 Harness and three pouch.